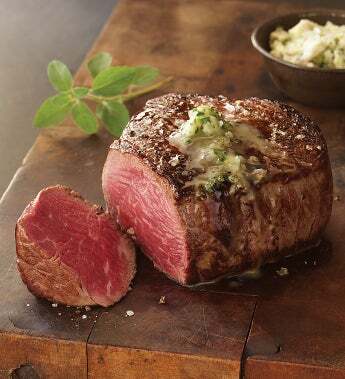 Stock Yards® Filet Mignon - the Ultimate Favorite is slowly aged for unbeatable tenderness and flavor. Cut by master butchers, every bite of these USDA Choice and USDA Prime Filet Mignon is delectable and worthy of the Stock Yards name. Truly, a cut above the rest. Grill it or gift it. For family or special occasions, the Filet delivers exceptional taste! Our Filet Mignon is slowly aged for unbeatable tenderness and flavor. Cut by master butchers, every bite of these USDA Choice and USDA Prime Filet Mignon is delectable and worthy of the Stock Yards name.